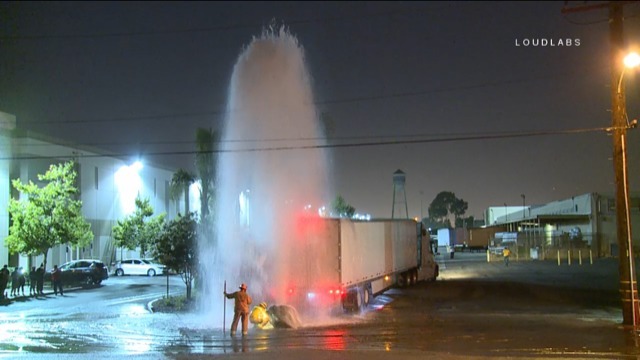 A truck misjudged a turn and hit a fire hydrant sending water into the air. The truck stayed at the scene. The water created difficulty to the firefighters finding the shutoff valve. As of 11:15pm the water was still running.